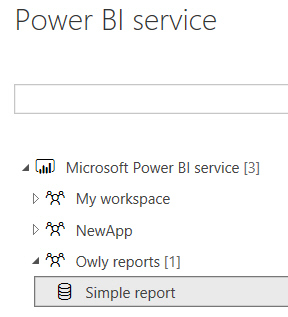 This feature means that - at least in theory - you can publish a single data source, and connect to this for all of your reports. 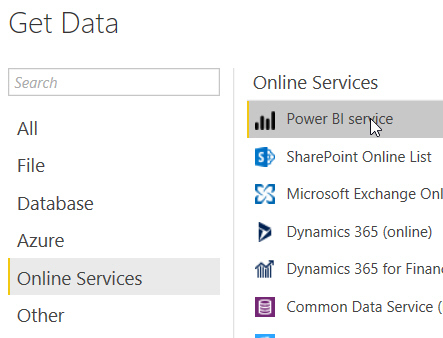 When getting data, choose to connect to an online service, and choose Power BI Service. Here we're connecting to the Simple report dataset in the Owly reports workspace. The live connection you're using. This is pretty much the only menu option left to choose. You could now switch to a different data source. I'm not sure Wise Owl would ever use this option, but I can see that it could change someone's life (which is why I've included it here).